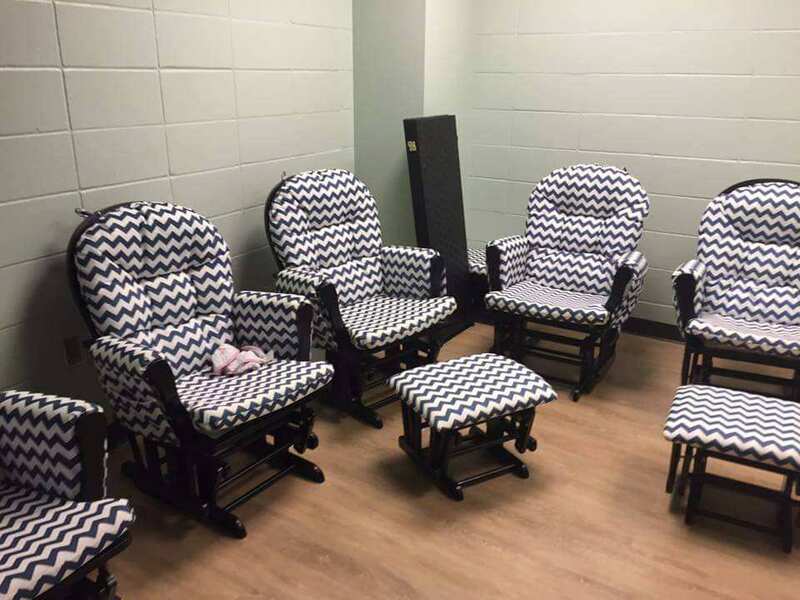 Kauffman Stadium of the Kansas City Royals baseball has an upgraded and better nursing room as of June 2016. Located on the main level, right next to Guest Services. Took my 6 month old to the Royals game last night,...She was getting a bit over stimulated and very distracted so I took her to the nursing room to feed her... I was so pleased to see they improved it sometime in the last several weeks! 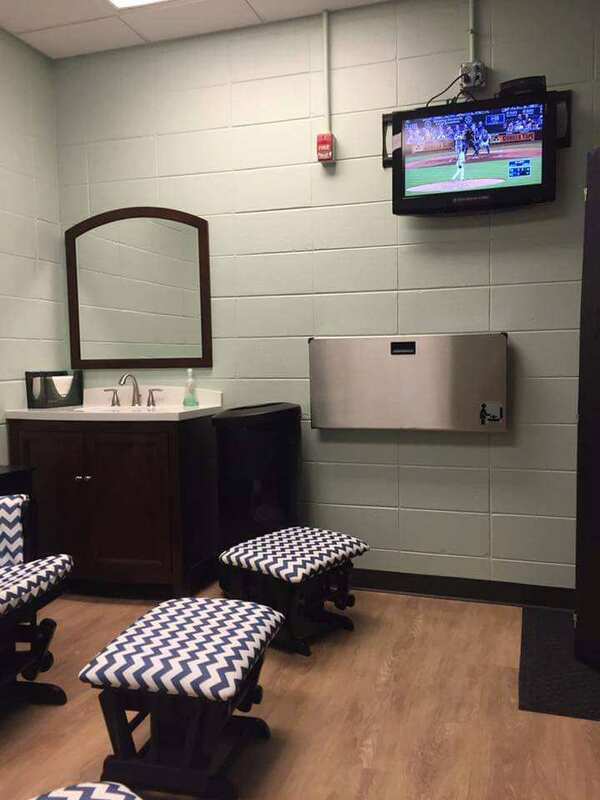 There is now a working sink with soap and a mirror, a changing table AND a tv to watch the game! And they finally took the gurney out to use the entirety of the space!" 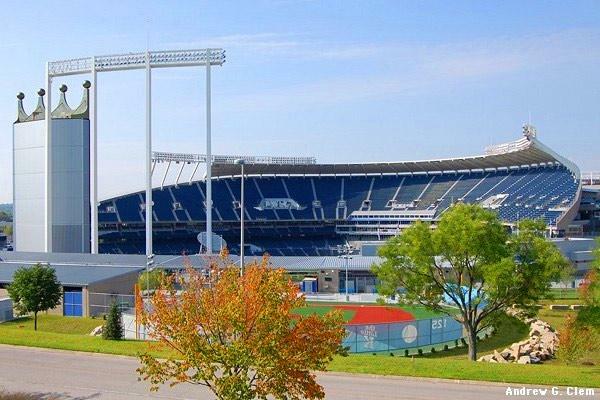 Also baby-changing tables are available in all men's, women's and family restrooms of Kauffman Stadium. Note: This is one of the larger size MLB nursing rooms compared to the nursing pods.